Camiguin ( (Cebuano: , Tagalog: ) is an island province of the Philippines located in the Bohol Sea, about 10 kilometres (6.2 mi) off the northern coast of Mindanao. It is politically part of the Northern Mindanao Region of the country and formerly a part of Misamis Oriental province. 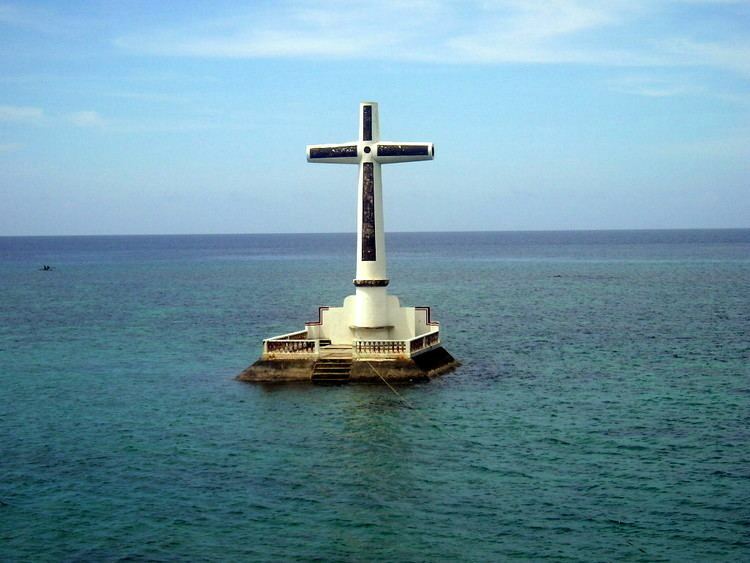 Camiguin is the second-smallest province in the country both in population and land area after Batanes. 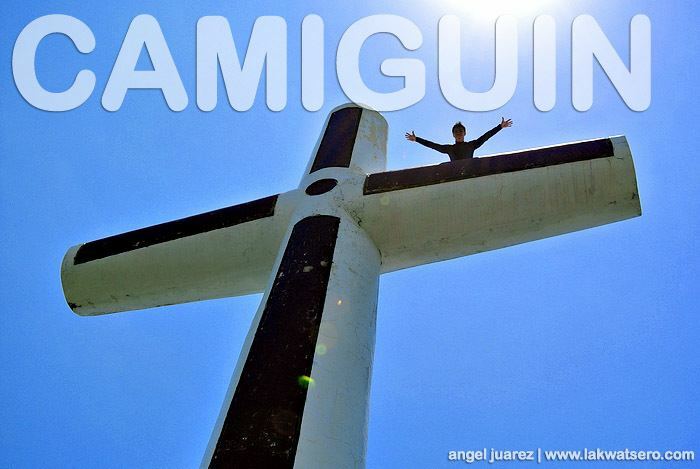 Mambajao is the capital of the province and its largest municipality both in area and population. The name Camiguin is derived from the native word “Kamagong”, a species of the ebony tree that thrives near Lake Mainit in the province of Surigao del Norte, the region from which the earlier inhabitants of the islands, the Manobos, came. Kinamigin, the local language of Camiguin, is closely related to the Manobo language. An earlier Spanish geography book writes the island as "Camiguing". There is reason to suppose the Spaniards dropped the final g.
The economy is based upon fishing and farming, with copra providing the greatest income contribution. Other agricultural products are abaca, rice, mangoes, lanzones and other fruit trees. The growing tourism industry have improved the economy of the province. Small cottage industries have increased in number to accommodate the influx of visitors. Old Catarman Church Ruins: The church of the Old Catarman town was destroyed and partly submerged by volcanic debris during the eruption and formation of Mt. Vulcan from 1871 to 1875. Also known as Gui-ob Church, only the ruins of the church and bell tower remains of the old town. An unsightly modern white lighthouse was recently erected close to the bell tower. Mount Hibok-Hibok (9°12?4?N 124°40?31?E) and Mount Vulcan (9°12?49?N 124°38?51?E) are the northernmost and the only active volcanic vents in Camiguin. Mt. Vulcan, ironically known as the Old Volcano [671 m (2,201 ft)], is actually the youngest volcano in the island, born in 1871 starting as a fissure vent on the northwestern flank of Mount Hibok-Hibok [4,370 feet (1,330 m)] (see Volcanic eruption below). As a parasitic cone of Hibok-Hibok, it is still considered part of volcano. Some of the other flank domes of the volcano are Carling Hill (9°12?53?N 124°40?12?E), Tres Marias Hills (9°11?23?N 124°41?14?E) and Piyakong Hill (9°12?49?N 124°38?51?E). Ilihan Crater is the site of the 1950 eruption. Mount Timpoong is the largest mountain in Camiguin. It is composed of several domes the tallest of which is the Timpoong Peak (9°10?42.3?N 124°43?40.4?E), also the highest in Camiguin at 5,294 ft (1,614 m). The peak of Mambajao (9°9?48?N 124°43?13?E) is the second tallest at 5,143 ft (1,568 m). A lower central peak (9°10?12.7?N 124°43?27.5?E) of 5,015 ft (1,529 m) is located between the two peaks. Some of the flank vents on Mt. Timpoong are Campana Hill (9°12?1?N 124°43?2?E) and Minokol Hill (9°9?6.6?N 124°44?39.3?E). Mount Butay (9°7?18?N 124°45?52?E), also known as Mount Uhay, is located between the towns of Mahinog and Guinsiliban. Mount Guinsiliban (9°5?35.6?N 124°46?3.5?E) is located in the town of Guinsiliban. 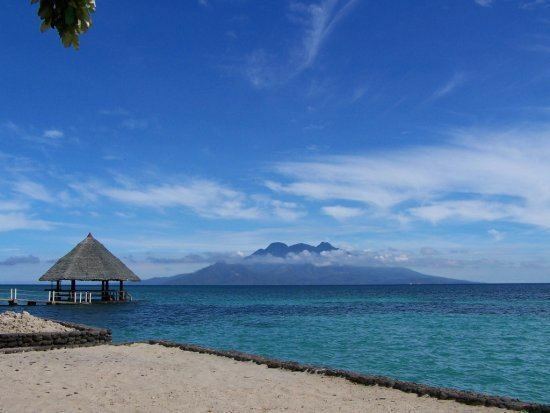 The 1,872-foot (571 m) high mountain is the southernmost volcano and the first seen coming from the port of Balingoan in mainland Mindanao. Each year in October, a festival is held celebrating the Lanzones, a small grape-sized tropical fruit grown all over the island. 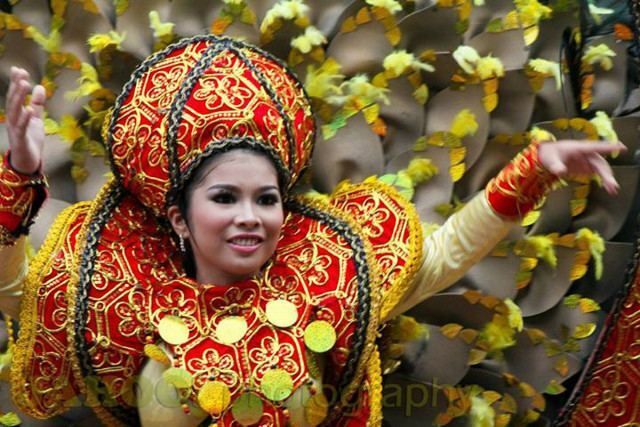 The week-long Lanzones Festival is one of the more colorful events in the Philippines.